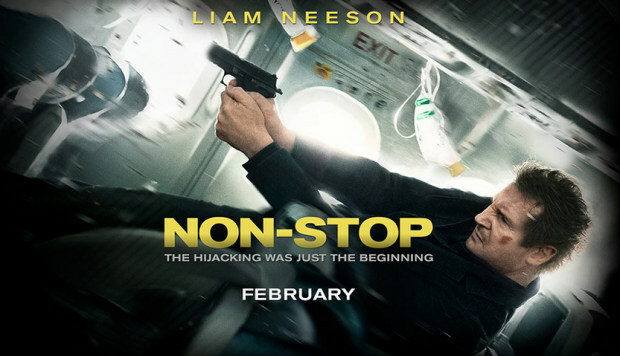 Bill Marks (Neeson) is an air marshal who, on a non stop flight from the US to London, receives a message asking for $150 million or a passenger will be killed every 20 minutes. By the time he receives the actual message, we have a list of suspects a mile long. Lots of shady people…..new people…..suspicious people….. I may never fly again. Then we find out that Bill is being framed. The account the ransom money is to be deposited into is in Bills name. This changes everything. The pilots have their orders and these do not include the air marshal having a gun or any kind of control on the plane. But this is Liam Neeson …..